Welcome to our October newsletter! As always, we have gathered some exciting news for you. As you know, ATLAS.ti has a strong presence in educational and research institutions, but also in conferences, congresses, and important international meetings. This month, we are visiting a healthcare center in Taipei to disseminate expertise of using ATLAS.ti for medical research. Our interests are always with people who want to make the world a better place, and therefore we are excited to have trained and certified more than 250 expert trainers around the world who can spread knowledge and help within our international communities! Also of note: We recently released a new update, ATLAS.ti 8.3, with new features and improvements. Last but not least, read our Best Practice article to learn how to take advantage of auto-coding in ATLAS.ti Cloud. And don't forget to participate in our two-minute survey which will help us gain insights for new features of the software! ATLAS.ti now counts on more than 250 certified trainers! 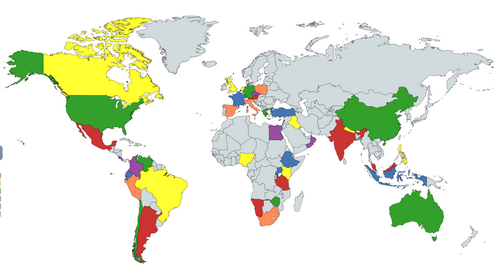 We are proud to announce that we currently have 254 certified trainers all around the world! More and more users are interested in learning to use ATLAS.ti, and we thank our certified trainers for all their great work. Are you interested in teaching ATLAS.ti, too? Then apply to join either our student trainer program or the professional trainer program. ATLAS.ti 8.3 for Windows and Mac just released! We never stop making our software better, and therefore we have just released the new version 8.3 for Windows and Mac. This is a FREE UPGRADE for all ATLAS.ti 8 license holders. Be sure to update as soon as possible by running the Live Update to profit from many new features, such as transcript import, new network functions, a tool for finding redundant codings, and much more. To find out more about all these features check out What' s new in ATLAS.ti 8.3. To watch a video about the new features, click here. The full version history is available here. Our product specialist and one of the most prolific and experienced trainers of ATLAS.ti, Dr. Susanne Friese, was invited by the director of the Chang Gung Medical Education Research Centre (CG-MERC) in Taipei to hold several ATLAS.ti trainings in October. The newest edition of her book '"Qualitative Data Analysis with ATLAS.ti", due in March 2019 will also be available to read there. Find more information here. From October 16th-19th, the 2ndInternational Workshop: Research in Imaginaries and Representations, will be held in Concepción-Chile in the Universidad de Concepción. As the opening of the event on the 16th, the ATLAS.ti Latin America team will be holding an all-day workshop on ATLAS.ti 8.3 for Windows. ATLAS.ti is currently one of the main sponsors of the event, making it the preferred software for researchers in the field of imaginaries and social representations. More information can be found here . The Humanitas Congress will be held from October 29th to November 1st and will bring together experts to discuss the future of the human sciences. The congress will take place in the Pontificia Universidad Católica del Paraná, in Curitiba, Brazil, and it includes the first meeting of Brazilian ATLAS.ti users. The ATLAS.ti team will give several basic and advanced workshops in an environment conducive to the launch and official opening of the first laboratory in Latin America for the teaching, practice and analysis of qualitative research data with the support of ATLAS.ti. This laboratory will be the first of several spaces that will receive official certification for the teaching and dissemination of ATLAS.ti in several Latin American countries in the future. For more information and registration, click here. We are inviting all users to participate in our survey about the types of data you typically analyze and the kinds of documents you mostly use during the analysis. 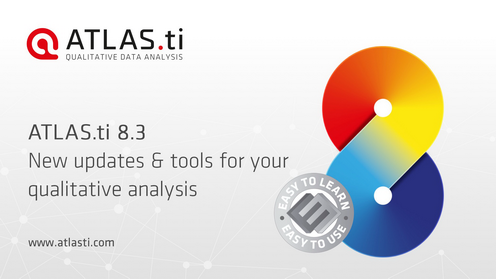 Help us better understand your needs and determine the next big step in your analysis journey with ATLAS.ti. To participate, please follow this link (in English - a Spanish version of the survey is is available here.) Don't worry, it only takes 2 minutes! Do you want to code all relevant data with one single tag? Instead of having to read through the entire document yourself and mark data separately, take advantage of the Auto Coding and Smart Search tool in ATLAS.ti Cloud. Easily explore all the relevant data in your document and code them to facilitate your research. 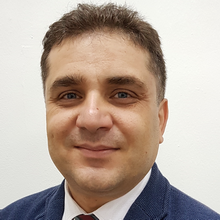 In this issue of ATLAS.ti case studies, we interview Dr. Majid Ghasemy, a Senior Lecturer and Global Higher Education Network (GHEN) coordinator at the National Higher Education Research Institute (IPPTN), Universiti Sains Malaysia (USM). Dr. Ghasemy is also a Certified ATLAS.ti Professional Senior Trainer, and today he is sharing some creative applications of ATLAS.ti with our community. FREE demonstration of ATLAS.ti for groups evaluating the program, professors introducing it in class, or researchers wanting to introduce it at conferences. For inquiries, contact us at [email protected]. You may also call us at +1 (866) 880-0231 (toll-free US and Canada) and +1 (541) 286 4391, 9:00 am to 4:00 pm PST. Ofrecemos talleres virtuales gratuitos para grupos. Estos talleres están orientados a grupos que están evaluando el programa o a profesores que desean introducirlo a sus alumnos. Por favor llenar este formulario de inscripción. En caso de consultas, por favor escribanos a [email protected] .